We’re a small business that makes a big, colorful impression. Atelier offers a comprehensive full-service experience that results in designs that reflect each client’s unique personal pizazz. We begin our process with a brief phone call to discuss your plans for the project and our general requirements. From there we will set up an Initial Consultation. This meeting is for us to fully evaluate the project space and to gather all of the necessary information that our team will need. 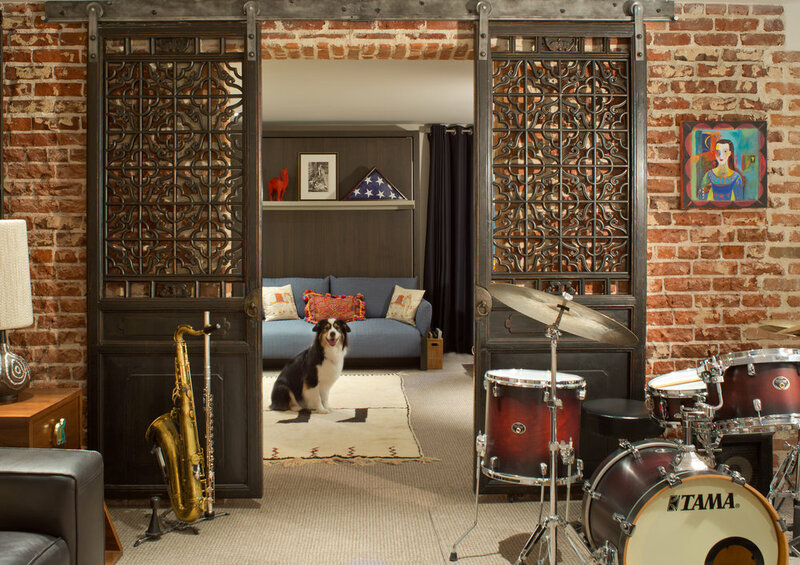 The Initial Consultation consists of an in-home space consultation to evaluate your needs, scope of project and budget. The designer gives you a Space Analysis that describes possibilities, ideas, goals, functionality of the area, and general suggestions. This is also when you and the designer exchange Visual Dialogue, where you review inspirational photos to build rapport and to mutually understand the desired aesthetic. In order to start to make the magic happen, we prepare a written, customized agreement outlining the specific areas for your review and approval. Upon signed agreement and retainer, we schedule a kick off meeting to start getting down to the nitty gritty. We analyse architectural drawings of your existing home and have our team measure each space out. This allow us to have a comprehensive base to work off of to start building up your design, aka the fun stuff begins! As you can probably already tell, we are a firm that religiously uses color and pattern to fuse with diverse cultures to bring each project a unique flare. 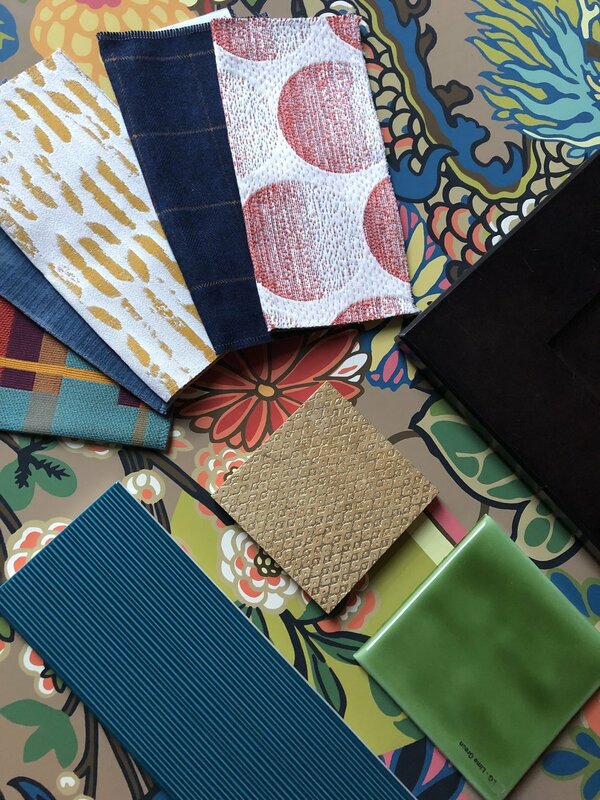 Atelier begins each project by putting together ideas and schemes consisting of fabrics, paints, and finishes to review with the client so that we can see what you jive with. 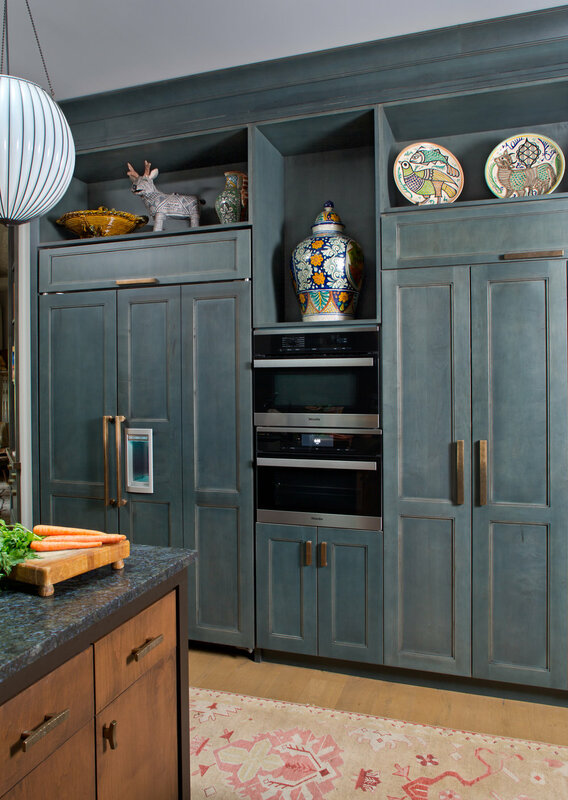 Together you and the designer will start selecting furniture items and their fabrics, light fixtures, paint colors, wallpaper, plumbing fixtures and more. The creation of the project isn’t always glamorous but each tedious step is necessary in order to cross the finish line of gorgeousness. The actualization phase of the project is the most intensive and takes the longest - this phase is not as fun but it’s why you hire us! First off we need to get everything ordered. In order to do so, we create formal proposals that include each selected item and their details. We require that every item is approved via a proposal so that both the designer and the client are on the same page about each aspect of the design. Once all items and materials are finalized, our team prepares technical drawings to properly communicate the design intentions in a formal visual format. Technical drawings include, but are not limited to, AutoCAD/Sketchup/hand-drawn floorplans, elevations, furniture plans, tile pattern plans, plumbing plans, etc. Technical drawings allow us the evaluate and refine the design and communicate design concepts to industry experts, including contractors, wallpaper installers, painters, electricians, tile installers, carpenters and more. Throughout the process, the designer is the coordinator of the entire project and oversees everyone involved. Keeping each expert informed properly is a timely process, though is crucial in making sure the project gets finished seamlessly. Our team is equipped to manage the entire project and each of its tiny details so that there are minimal hiccups. We take on the not-so-fun stuff so that you don’t have to - you can sit back and relax knowing that we have your back and your best interest always as our first priority. We don't stop at project management - we are there to the very end. The Project finalization process starts with furniture deliveries, for which our team offers to be present and inspect all purchased items. Once every item is successfully in your home, we spice up the space with finishing touches, art and accessories. We make sure you are 100% happy and glowing with awe!